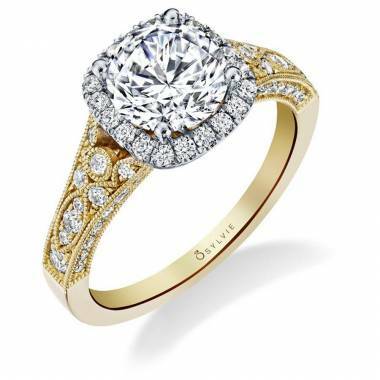 This best selling vintage engagement ring features a 1.5 carat round brilliant diamond in a yellow-gold setting with a shimmering halo of diamonds. 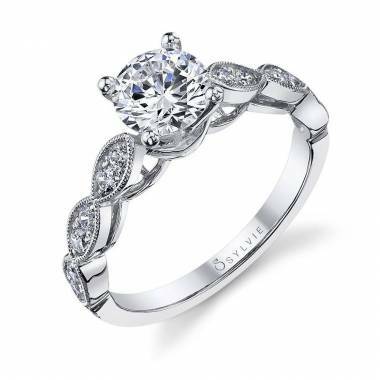 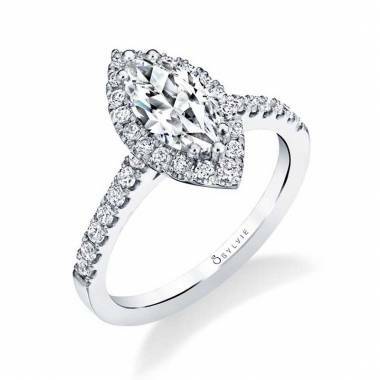 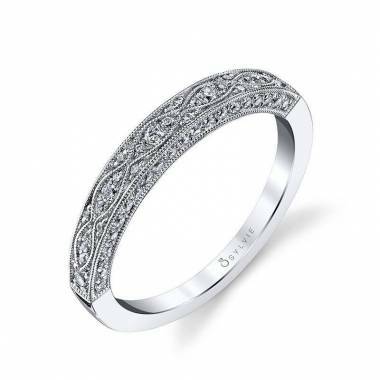 The antique-inspired shank contains milgrain and varied sizes of diamond accents, accompanied by channel set diamonds that cascade down the side profile of the shank. 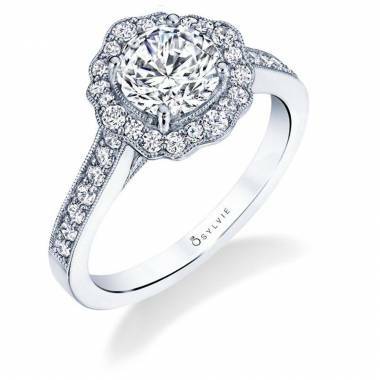 The total weight of this intricate engagement ring is 0.79 carats.